The LightRider Euro Bitless Bridle is a classy, traditional European style bridle. It features a raised and padded browband, noseband and a comfort padded single headpiece. 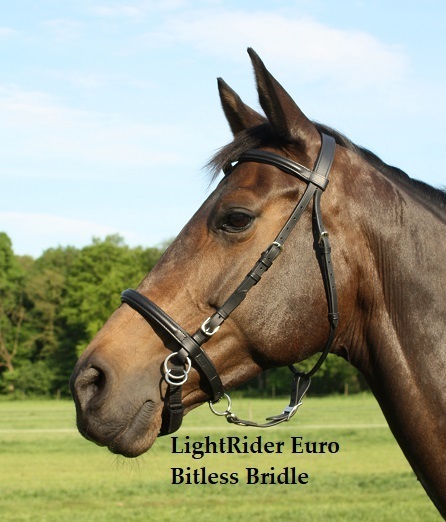 The LightRider Euro Bitless Bridle looks so much like a bitted Hanoverian style bridle, that other riders don't even realise it is bitless until they ride up beside you! The LightRider Euro is perfect for showing, hunting or Pony Club. The best eCommerce software by ShopFactory powers P83. All-in one eCommerce and shopping cart software.